Taking cues from the stranger corners of '60s psych, Australia's King Gizzard and the Lizard Wizard deliver acid-fried freak-outs of the highest order. For whatever reason, the Austral hemisphere has, within the past decade or so, become a hotbed for a new breed of psychedelic rock bands looking to push the limits of the form without deviating too far from its well-established sonic trappings. Taking cues from the success garnered by Tame Impala's international debut in 2010, labels have been casually cruising and curating a number of vibrant scenes in both Australia and New Zealand in search of the next psychedelic success. With any luck, Melbourne's bizarrely-named King Gizzard and the Lizard Wizard will be it. Trafficking in heavy, buzzy psychedelic rock that sounds like Revolver's steadfastly garage-ensconced little brother filtered through early Zappa weirdness, King Gizzard and the Lizard Wizard know their way around a great song and, given the size of the group (currently operating as a septet), are more than capable of producing a massive, fuzzed out sound. Compiling their first two releases for overseas consumption, Float Along – Fill Your Lungs/Oddments serves as an ideal primer for these sonic explorers. 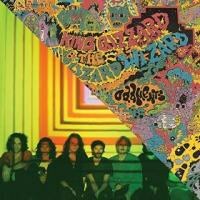 The sixteen-minute epic "Head On/Pill" off Float Along… scorches its way through a myriad psych hallmarks (sitars, reverberated vocals, buzzing guitars, propulsive bass, random sonic weirdness), all the while sounding fresh, compelling and, most importantly given its massive run time, hypnotically engaging. Fortunately, nearly everything else on this collection follows suit, hinting at bigger and better things yet to come.